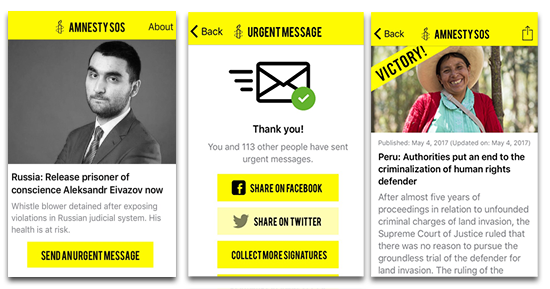 With Amnesty SOS you join a global community of human rights activists taking urgent action to free prisoners of conscience, protect people and communities in immediate danger – all from your mobile phone. When someone suffers a human rights violation, or is in immediate danger, then Amnesty International can issue a global urgent action alert. Amnesty supporters all around the world – just like you – respond by sending messages to the relevant authorities to hold them to account and demanding they take action! 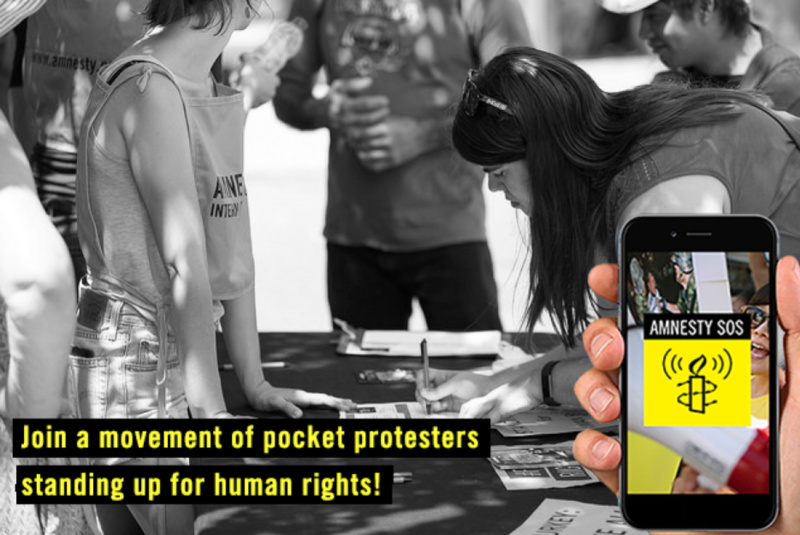 Use Amnesty SOS to take individual action, to encourage friends and family to raise their voices for human rights or bring it to events and use it as a tool to collect many signatures and amplify your impact! Join the Amnesty SOS community! Download the Amnesty SOS app today and speak out for human rights. We can, and do make an impact when we act together. When there is an urgent action alert, Amnesty will send out an notification to Amnesty SOS users. Share the actions with friends, family and colleagues via social media - The more people who speak out, the more powerful our collective voice becomes. Collect more signatures - from friends, colleagues, or community members and events! What is an Urgent Action? When an individual is in immediate danger as a result of the violation of a basic human right, Amnesty International can launch an Urgent Action to protect them. The massive number of appeals from concerned people around the world enable us to put pressure on authorities and help us to hold them to account. 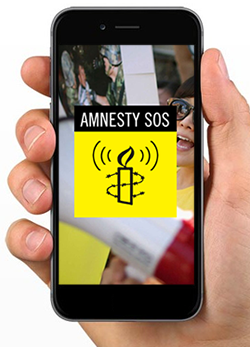 The Amnesty SOS app is free to download and use (data charges may apply).